I've come up with a better way to differentiate between trade secrets (protected nearly everywhere by statute) and confidential information (somewhere protected by the common law; more often, by contract). I may be totally off-base on this, but here goes. A trade secret is a form of intellectual property whose value can be monetized like a patent or trademark. 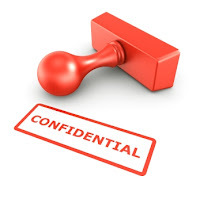 Confidential information is information that generally is not available to outsiders but which lacks independent value as a firm asset. We're in the dead of summer, but the law continues to churn out interesting cases for us nerds to ruminate over. A preliminary injunction ruling out of the District of Massachusetts rejected a rather expansive view of the inevitable disclosure doctrine. U.S. Elec. Svcs., Inc. v. Schmidt, 2012 U.S. Dist. LEXIS 84272 (D. Mass. June 19, 2012), involved the departure of a national accounts manager who did not have a non-compete agreement with the plaintiff (he actually left to work for a subsidiary two years prior). When a project coordinator followed the manager to a competing electrical distributor, the distributor sued under a variety of theories. Surveying Massachusetts' interpretation of the inevitable disclosure rule, the district court held that the rule is best applied to establish irreparable injury - basically, a protectable interest - supporting a non-competition agreement. It did not approve of using the theory as the foundation for a trade secrets claim. Factually, the claim appeared to be a stretch since the manager had not dealt with the key customer at issue - Dollar Tree Stores - for over two years. Royalty damages are the back-up plan for victims of trade secrets theft who can't prove lost profits or gains the misappropriator realized. This is a derivative of patent law, and it seeks to figure out a hypothetical licensing price that the misappropriator would pay for the privilege of using the information taken from the owner. An Arizona court has held that a trade secret owners license fees for other patents and investment costs in developing the trade secret can provide a basis for a royalty award. It also rejected the argument that because a product may never be brought to market - the product involved an intestinal sleeve to treat morbid obesity - damages were inherently speculative. Using corporate finance theory, the court stated that a risky future cash flow is simply discounted with a risk-adjusted rate. The case is W.L. Gore & Assocs., Inc. v. GI Dynamics, Inc., 2012 U.S. Dist. LEXIS 75055 (D. Ariz. May 30, 2012). In Rogers v. Vulcan Mfg. Co., 2012 Fla. App. LEXIS 8793 (Fla. Ct. App. June 1, 2012), the Court of Appeal of Florida reversed a $0 attorneys' fee award to the employee after he prevailed on the employer's non-compete claim. The fee-shifting clause provided the employee could recover fees "incurred to enforce any term, condition, or provision" of the contract. The court found the clear intent of the clause was that "the loser pays, and the winner does not." It did not matter who the source of the funds was, because the language in the fee provision was passive. And who said never to use the passive voice? ?